No, not the elephant. DUMBO is a park area “down under the manhattan bridge underpass” in Brooklyn. You might remember the area from Kristin’s “Trash the Dress” photo shoot. 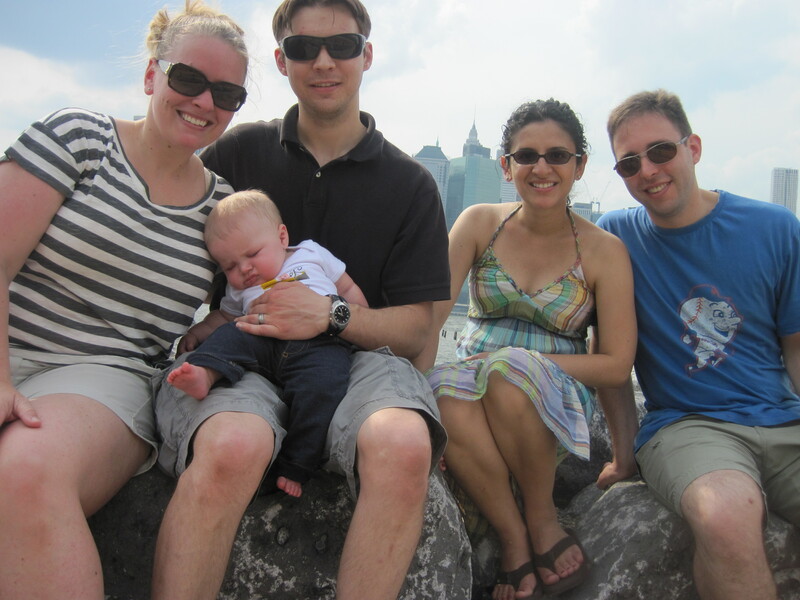 We have some great friends in Brooklyn Heights, walking distance from DUMBO. We haven’t seen them since Kasen was born, so we trekked up the New Jersey Turnpike to see them. Our first stop was to visit Scott & Stephanie and their little girl Lila. Lila is a couple months older than Kasen and the two had fun playing with each other. 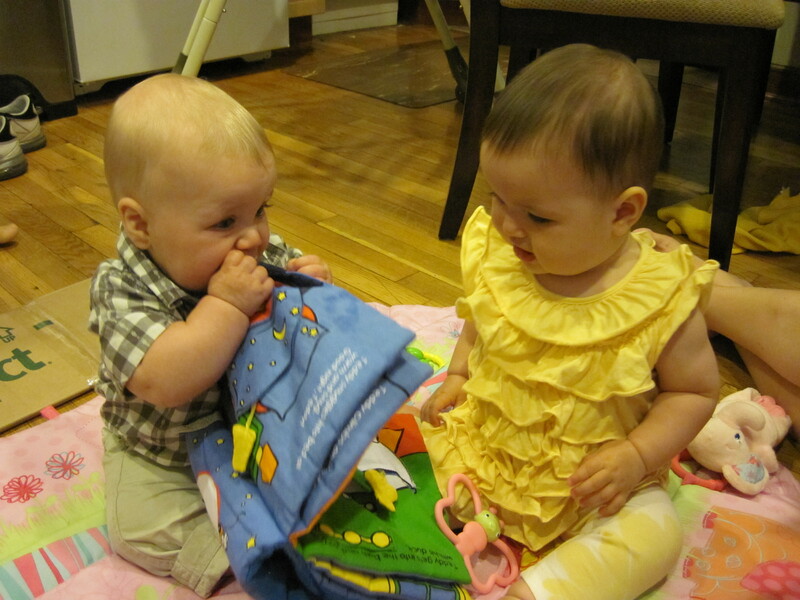 Lila showed off her moves (like standing up and eating finger foods) and Kasen borrowed all of her toys (“mine!”). 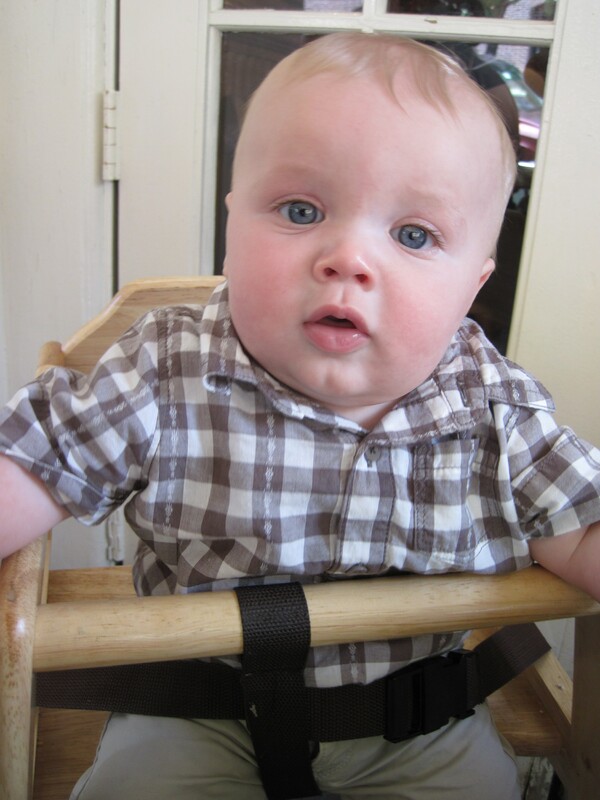 We went out to brunch and Kasen sat in a restaurant highchair for the first time! He loved that he could put his mouth on the table while sitting in the chair. He also enjoyed grabbing things off the table. After enjoying a very delicious brunch, we got to see the apartment that Lila is hoping to move into soon. Then, we walked down to DUMBO for some ice cream. We all had a great time hanging out! Our second stop was Alexa and Danny’s. 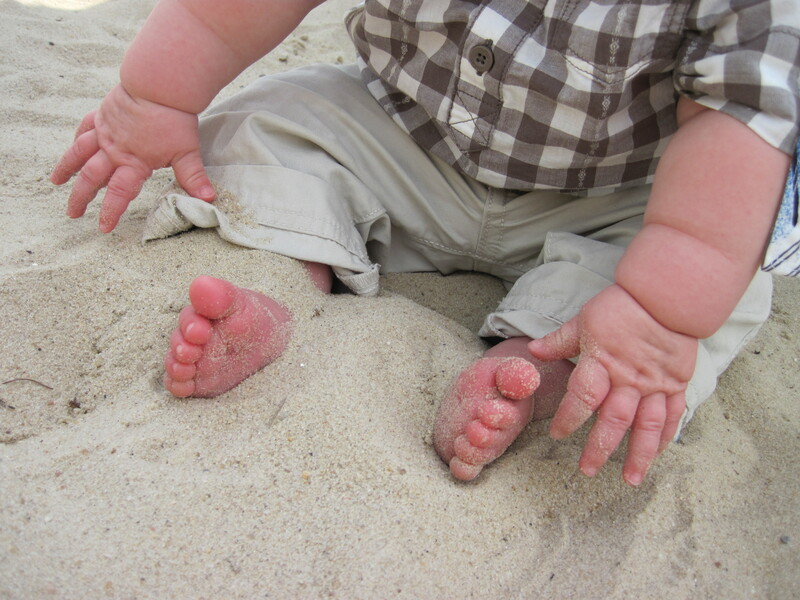 We said our hellos and headed down to Pier 6, where Kasen could play in a giant sandbox and at the “Water Lab.” The sandbox was his first time playing in the sand (he went to Florida, but he was too little to play in the sand). Then we went to the Water Lab. 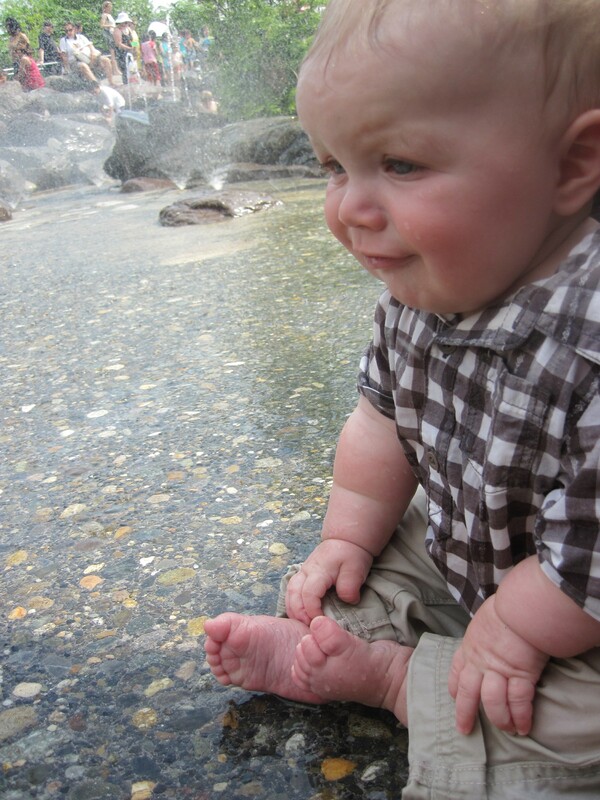 Kasen LOVED playing in the water and watching the other kids splash around too. 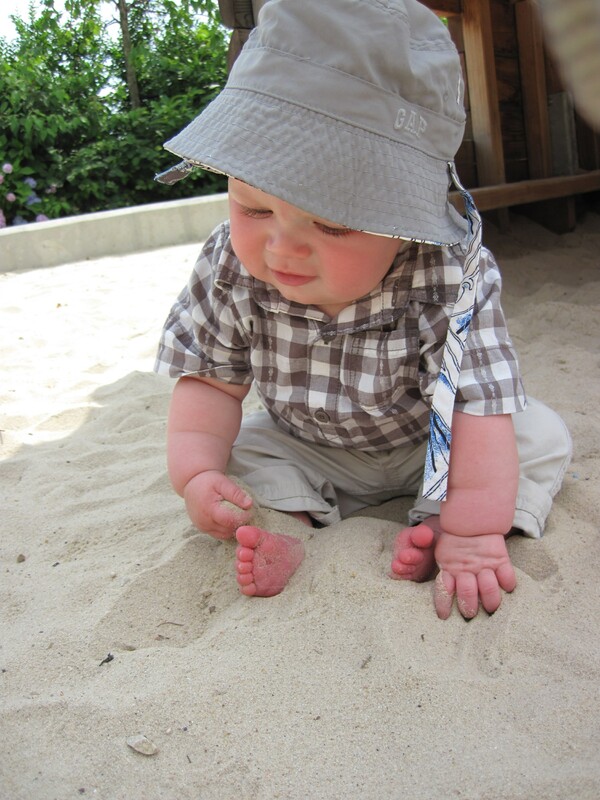 After Kasen was worn out, we walked along the water and enjoyed the beautiful weather. 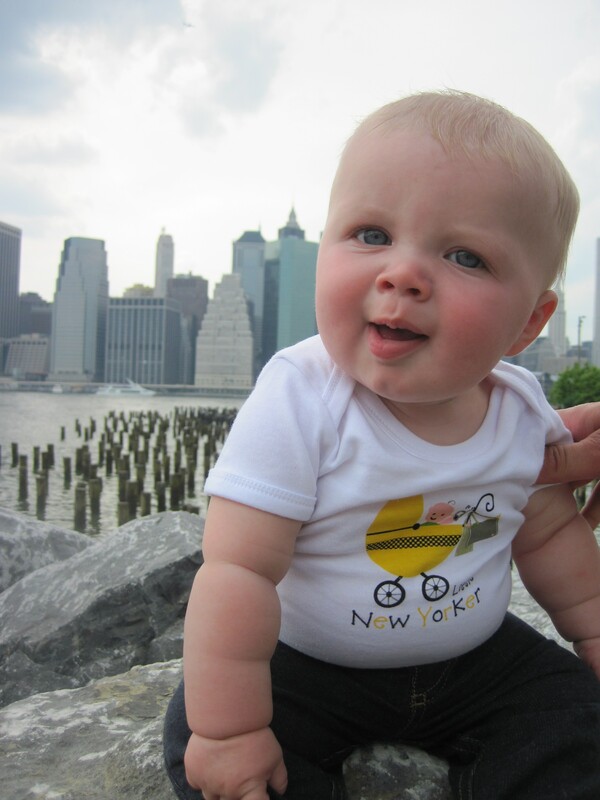 We even woke Kasen up briefly to show off his new onesie (from Scott & Stephanie) so he could declare how much he loves NYC. After enjoying the afternoon, it was time for dinner. We walked to Alma, a Mexican food restaurant. We sat on the roof deck, where we had a fabulous view of the City. 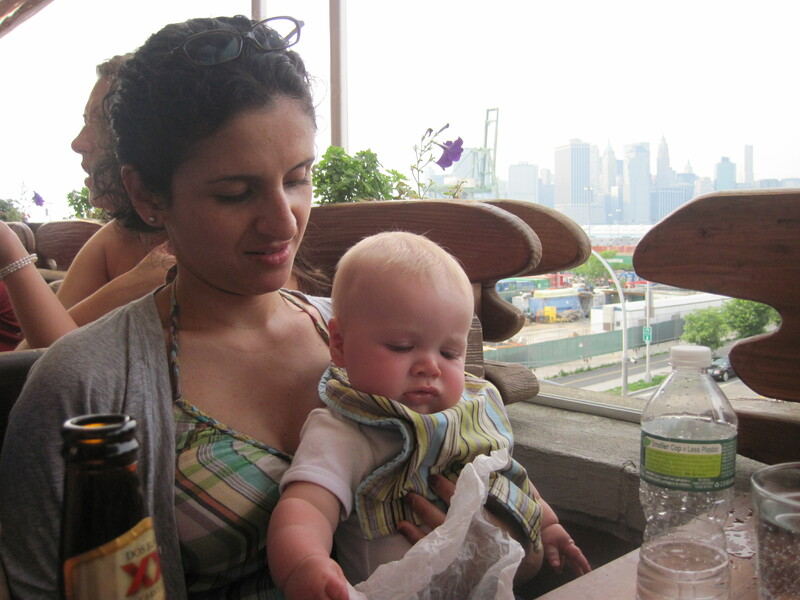 As you can tell, Kasen was too busy playing with a napkin to notice the view. We had a fantastic time and we were so happy to see everyone!